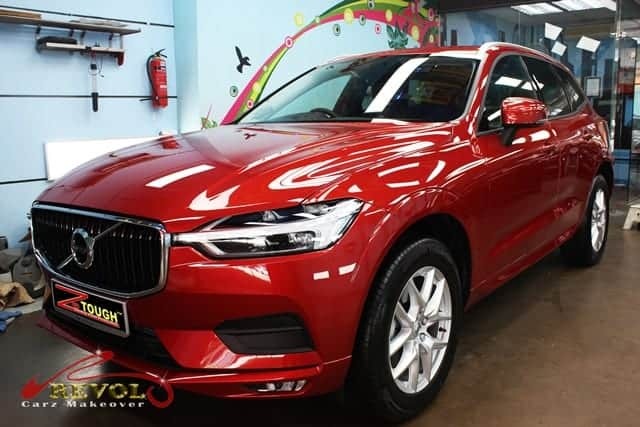 We have some advice for unwary car owners who could be unfortunately caught in an appalling situation after installing in-car camera. 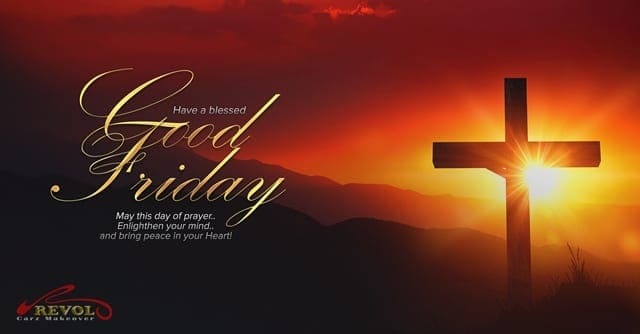 Don’t be “penny-wise and pound foolish”, so the adage goes. 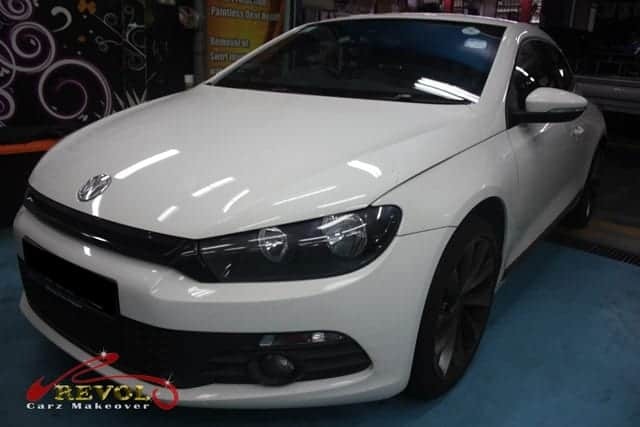 Have your in-car camera properly set up by professional installers from a more reputable shop. 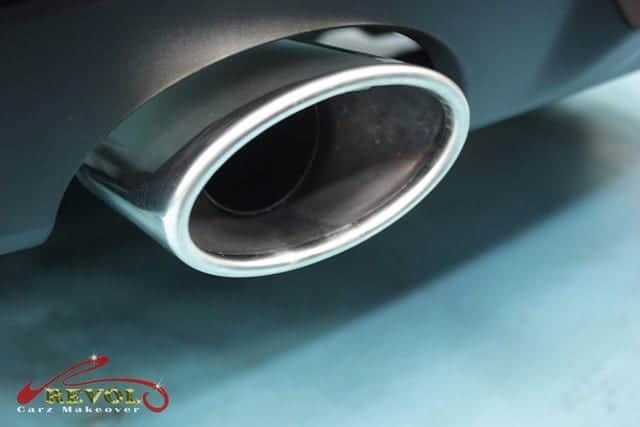 Inexperienced and carelessness of unscrupulous installers can cause you a nightmare and even damage to your car’s electronic system. 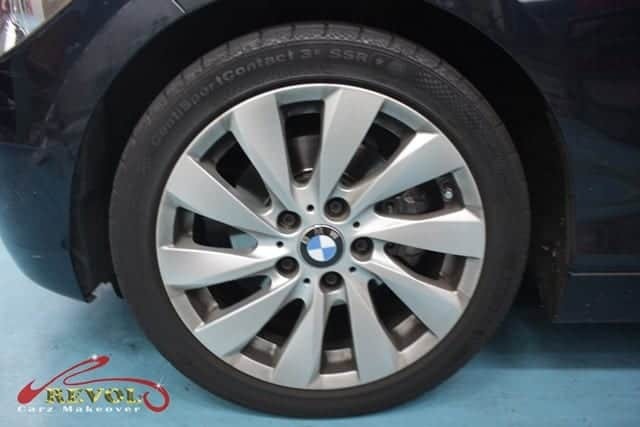 We recently came across a case of BMW hatch-back which distressed owner phoned us for help. 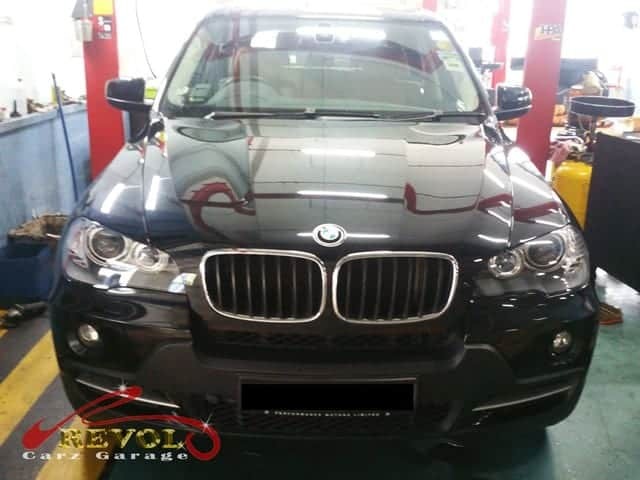 He was unable to start his car and had requested for a tow to our workshop for diagnosis. 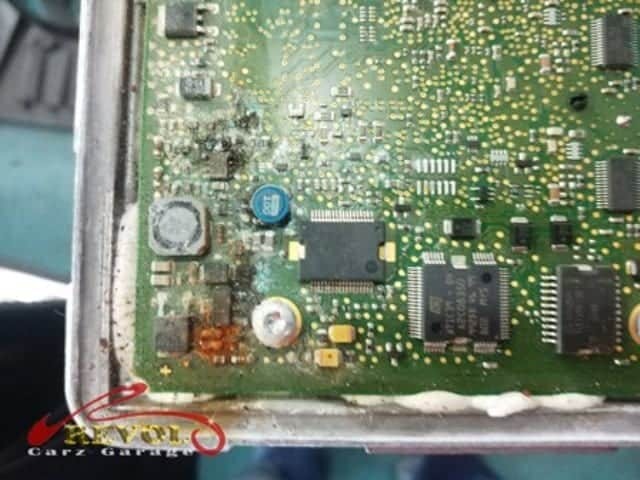 At our workshop, our experienced technicians discovered that water had seeped into the battery compartment causing short-circuits and severe damage to some major circuit board modules. This unfortunate incident could have been easily prevented had the camera-installer been more careful and had not forgotten to put back the protective cover properly. 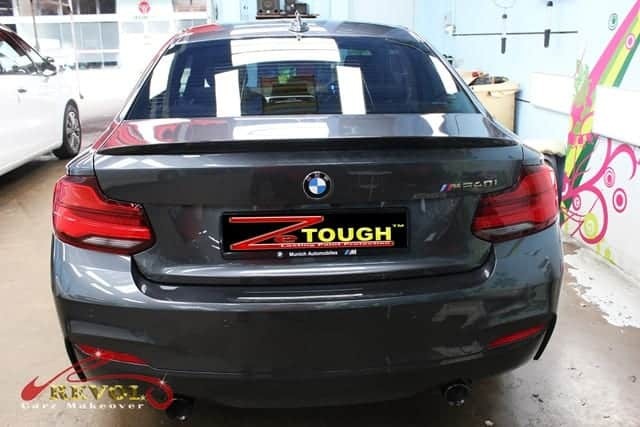 The carelessness by the inexperienced technicians had not only caused the car-owner great distress and inconvenience but also wasted a lot of money to replace the damaged circuit board modules. The rain water actually slip through the gap located at the car boot and flow into the battery compartment and it actually causes shock circuit of the module which indirectly causes other module to shock circuit too. 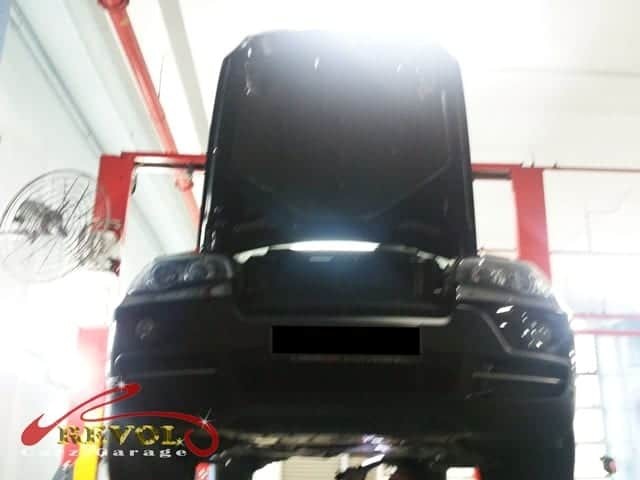 The vehicle is lifted for repair works followed by thorough safety inspection. The inexperienced technician from other workshop failed to place back the protective cover properly. The carelessness caused rain water to seep in and damaged vital electronic components. Rain water flooded the battery compartment causing severe damages. A rusted and damaged HKL Circuit Board model was damaged by water seepage. 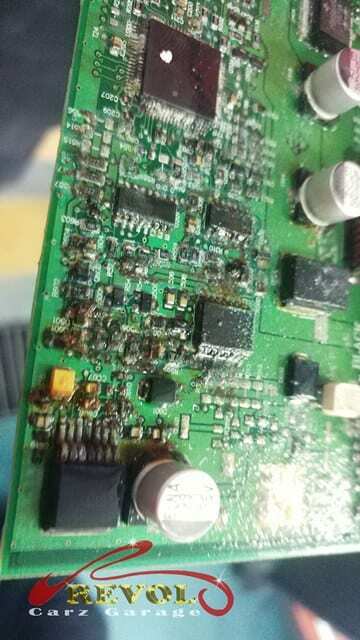 The DME circuit board module was also damaged by water contamination. 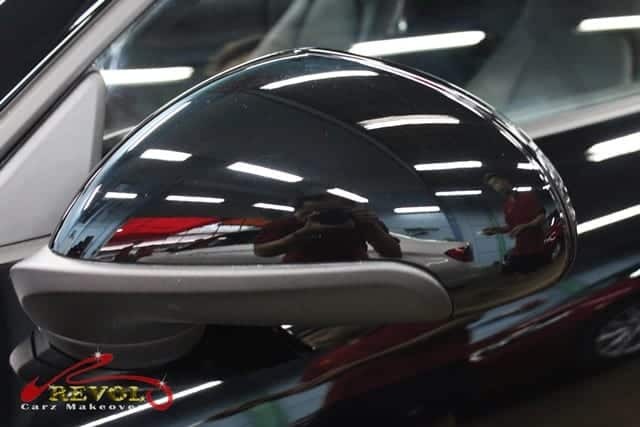 A Brand New soft top black Porsche 911 Carrera had just pulled up at Revol Carz Makeover for a ZeTough Ceramic Paint Protection treatment. 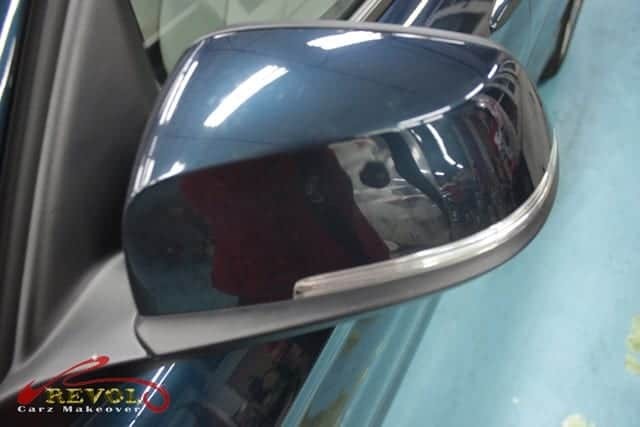 As you can see in the pictures below, the long lasting luster after the treatment was simply stunning like in a showroom condition. 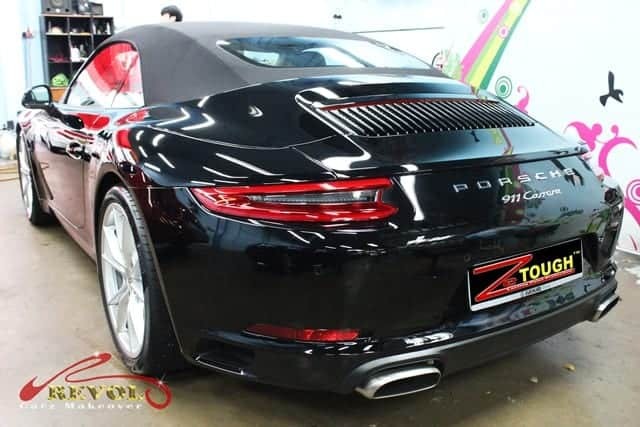 The new generation Porsche 911 has been heavily updated for the 2017 model with new turbocharged engine, restyled headlights and taillights, revised front and rear bumpers with improved safety features. 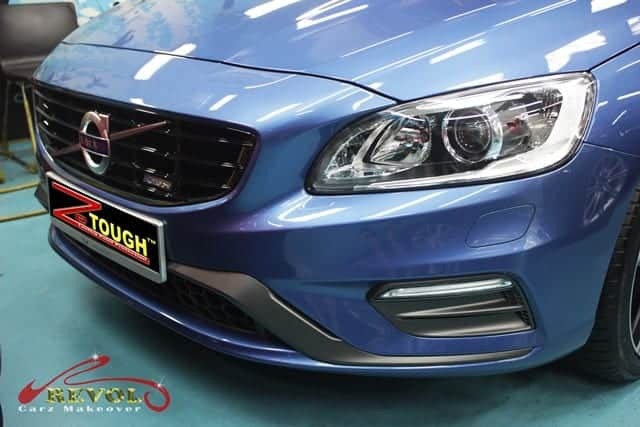 The slightly larger grilles are fitted with louvers to balance cooling demand and aero efficiency. 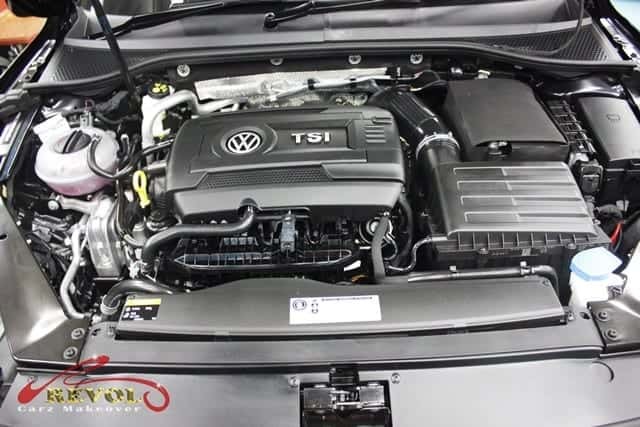 Power comes from a new twin-turbocharged 3.0-liter, flat-6cylinder rear mounted engine producing 370 horsepower and 331 lb/ft of torque. 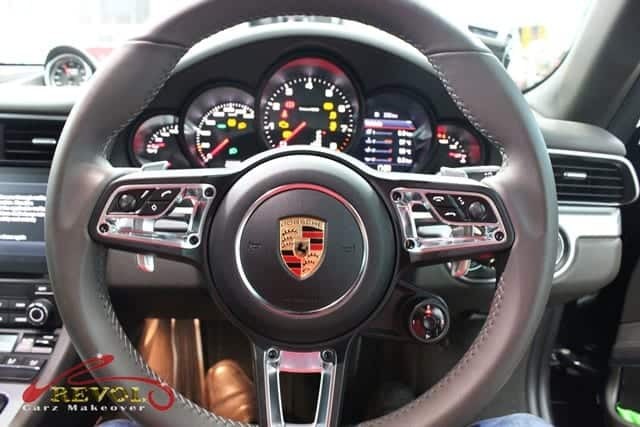 The Carrera managed the century dash in just 4.2 seconds and hitting a top speed of 293km/h. 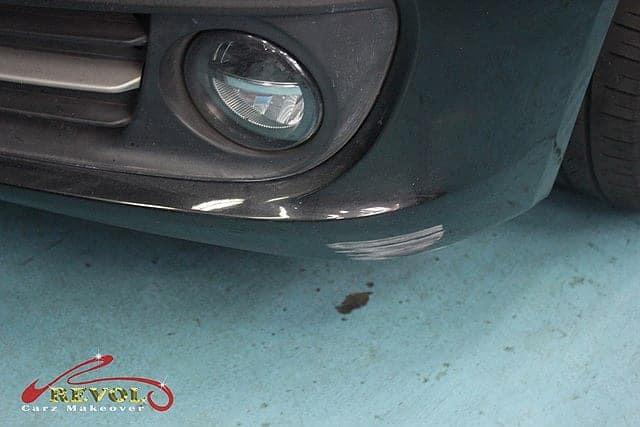 A gleaming soft top black Porsche 911 after ZeTough Ceramic Paint Protection treatment at Revol Carz Makeover. 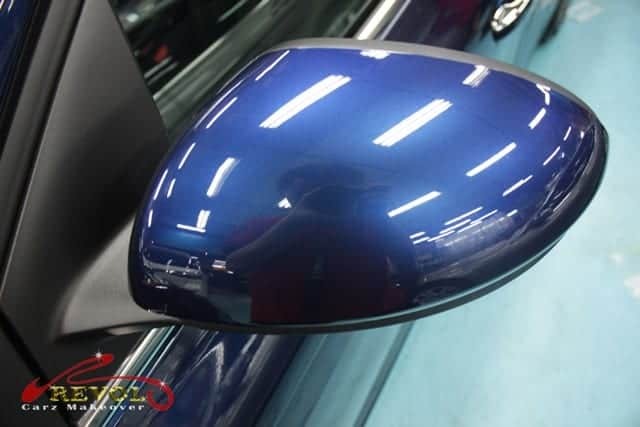 The long lasting luster is simply stunning. 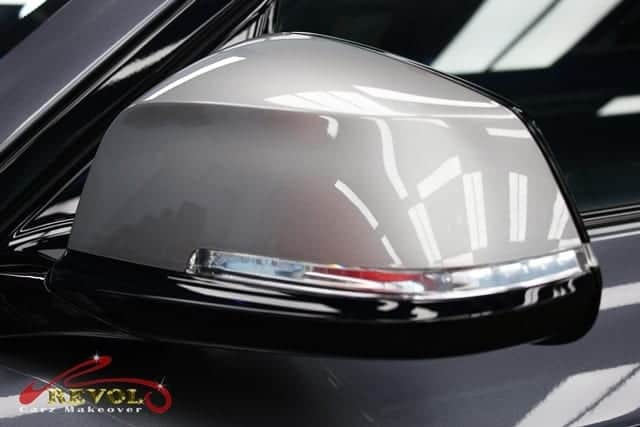 The front view of the shiny 2017 Carrera is breathtaking after the ZeTough treatment. 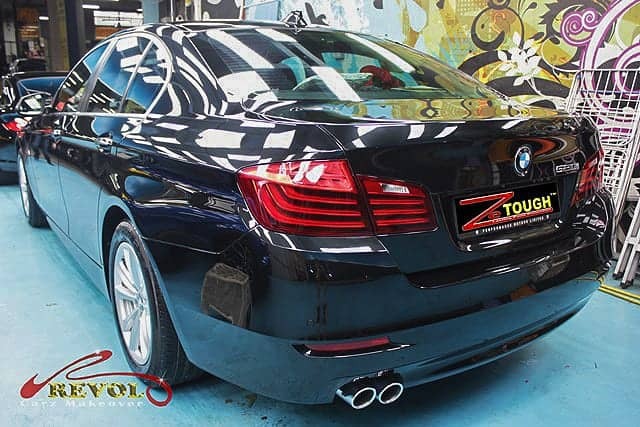 The front trunk offers 13 cubic feet (0.368 cubic meters) of cargo space. 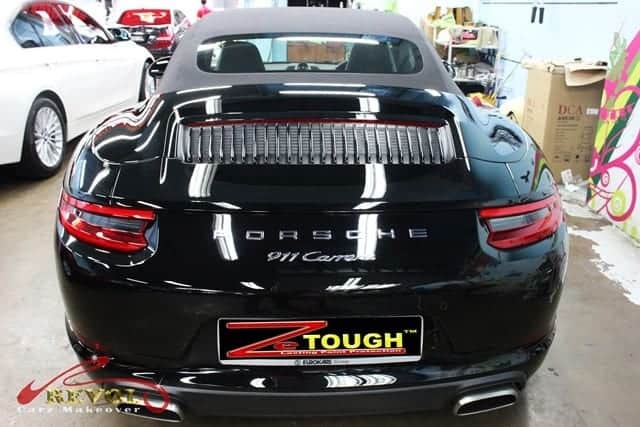 The new generation Porsche 911 has been heavily updated for the 2017 model with new bumpers and restyled headlights. 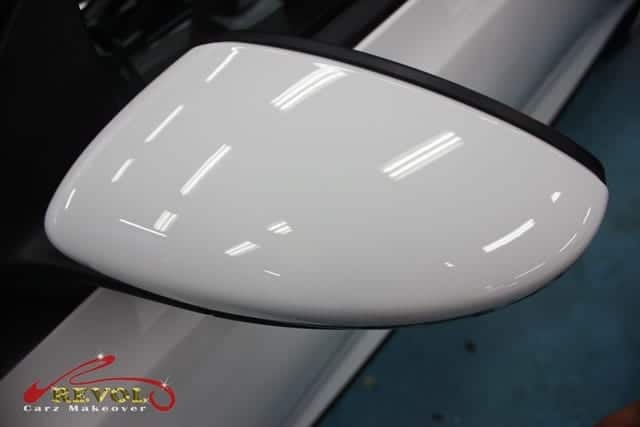 ZeTough Ceramic Paint Protection coating too, brought the Carrera to life with gleaming glass-like shield. 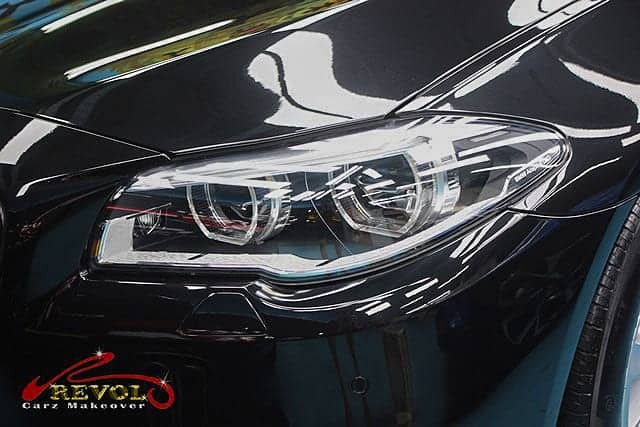 The headlights have been passionately polished to achieve this crystal clear look. 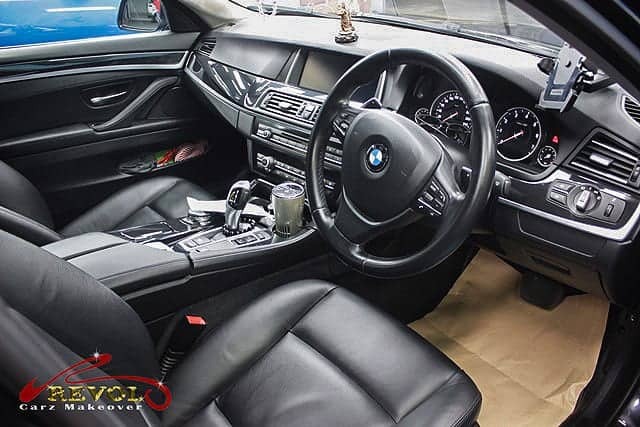 Detailing the interior was rewarding challenge. Every nook and corner is carefully super-cleaned and smelling like new. 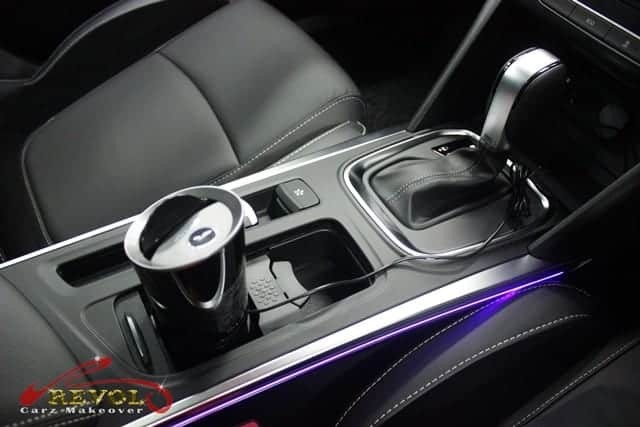 The center console has many buttons clustered in a compact area. 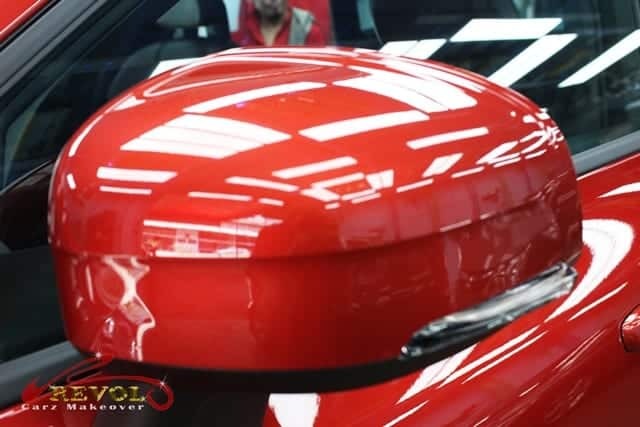 We made sure the console is cleaned and polished to perfection. 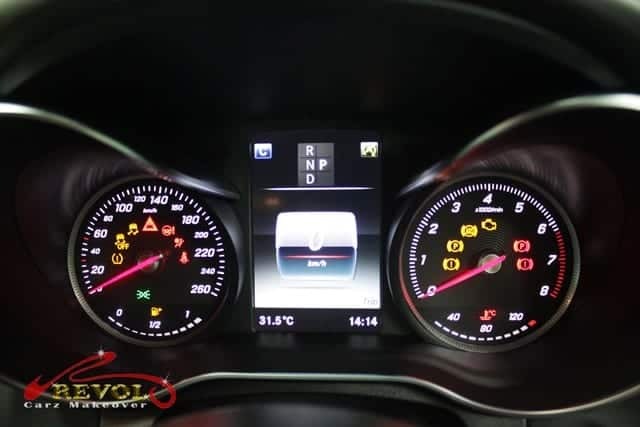 The polished instrument cluster lit up to pump up your adrenaline. 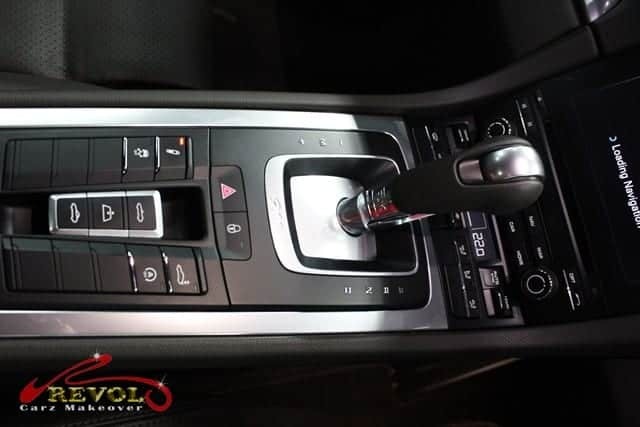 The Carrera’s electrically boosted steering wheel with control buttons is cleaned and leather treated. 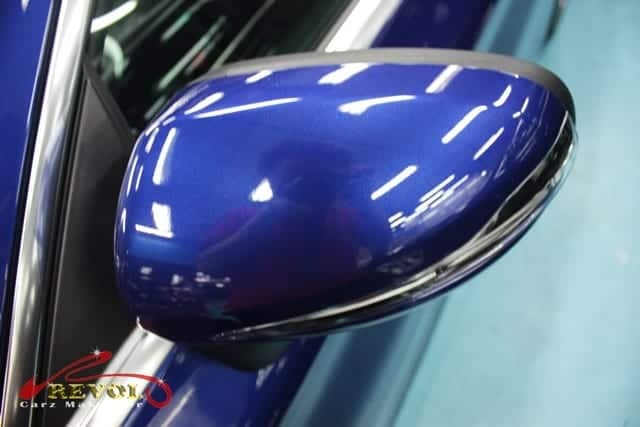 A close up to show the glassy shine after ZeTough Ceramic Paint Protection Coating treatment is fully cured. Open to fuel tank cover and behold! It is super clean under there too. 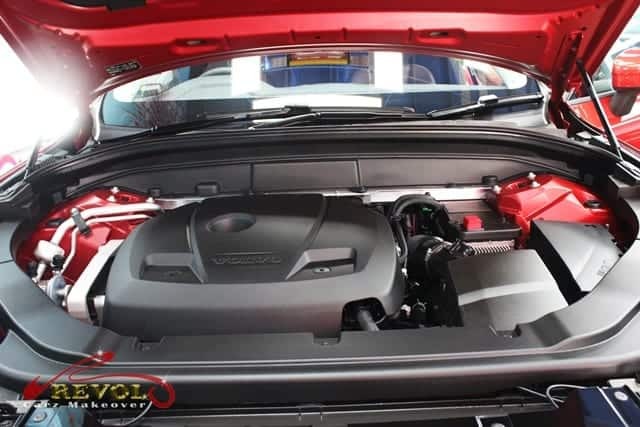 The fuel tank can hold 64-litres. 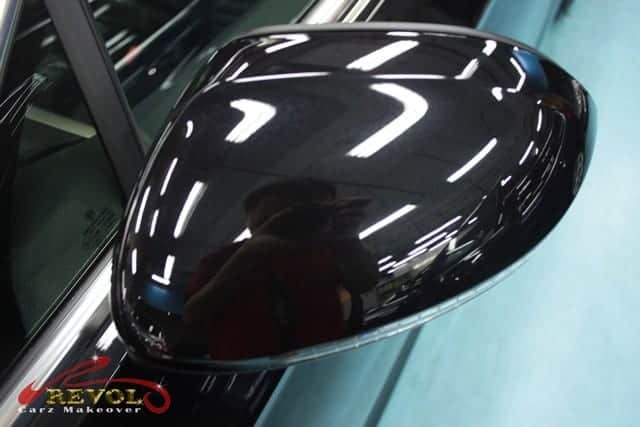 Whichever angle you look at the Porche Carrera, ZeTough Ceramic Paint Protection Coating created the spectacular long lasting shine. 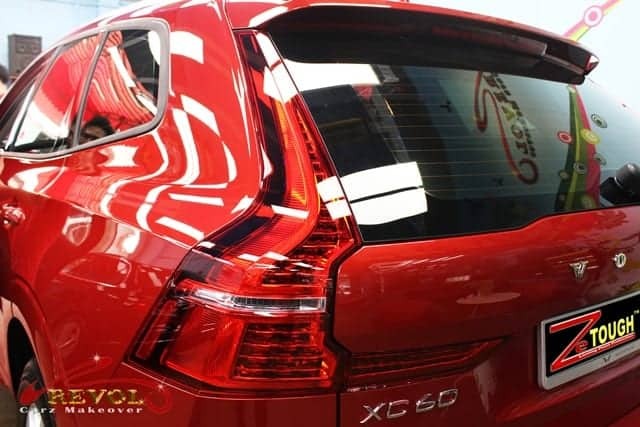 The rear spoiler normally deploys at 120 km or when launch mode is activated, but will also rise if the engine needs more cooling, as it allows more air into the engine bay. 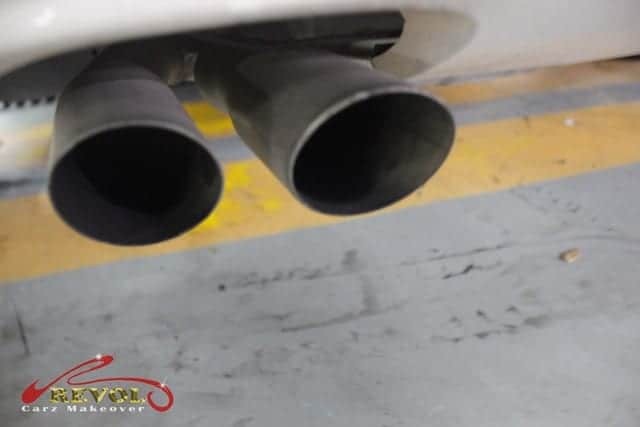 The polished port exhaust gives the Carrera extra volume when thrashed. 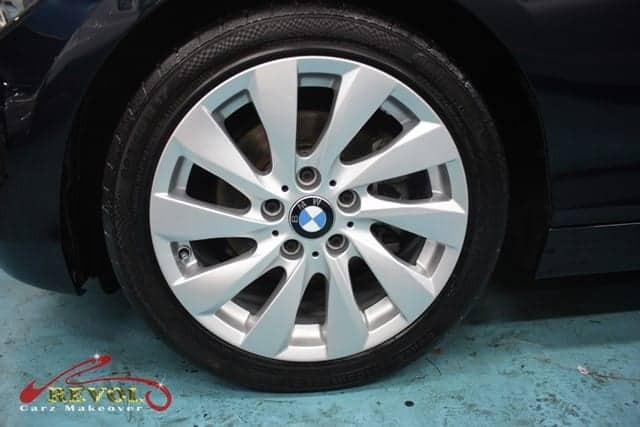 The 19-inch alloy wheels are like brand new from showroom with a little love rendered by our professional detailers. 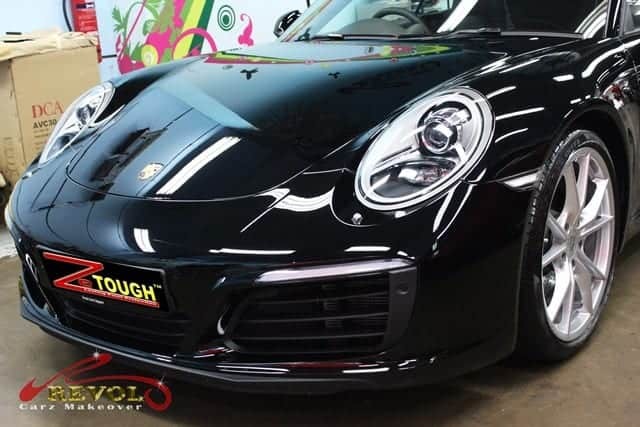 If you are impressed by the transformation of the Porsche 911 Carrera, wait till you see what ZeTough Ceramic Paint Protection Coating can do for your car too. 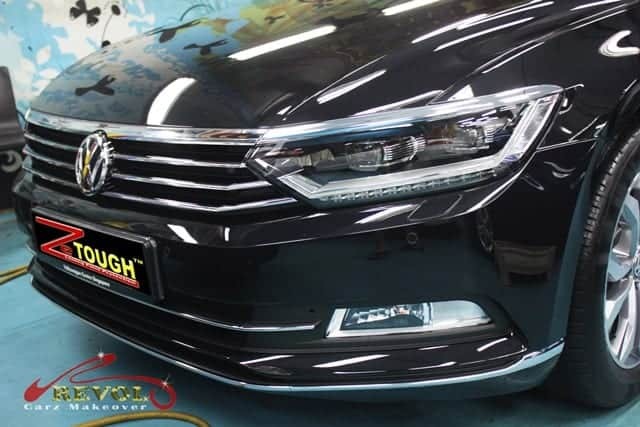 With the treatment of the renowned ZeTough Ceramic Paint Protection, we guarantee your Revol Carz Makeover is your right choice. Visit us to know more about our affordable and transparent services. 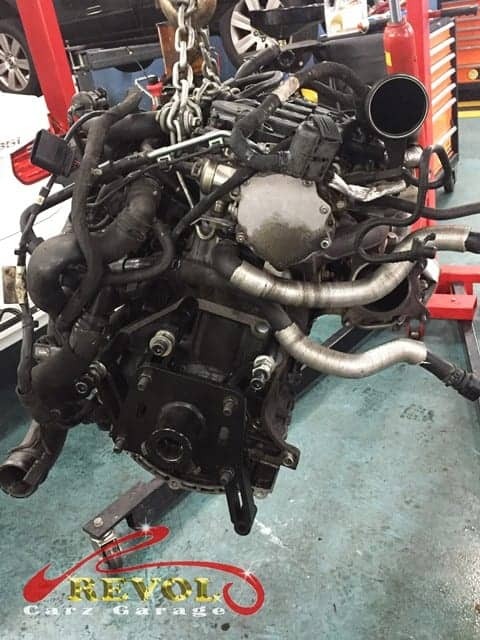 An Skoda Superb Elegance came for a full engine overhaul. 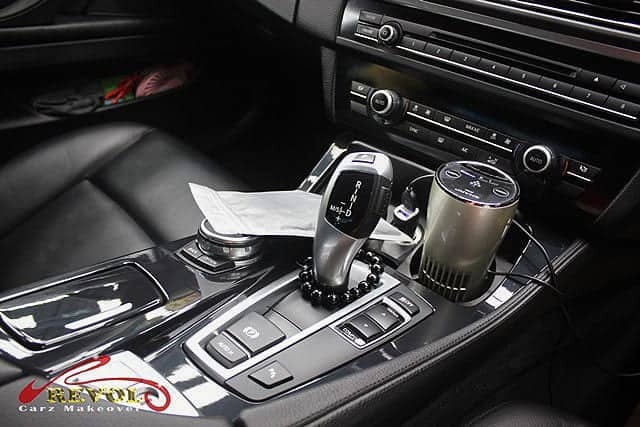 Are you tired of the recurring mechanical problems that your car is experiencing every now and then? After you’ve fixed one mechanical problem, yet another one surfaces? 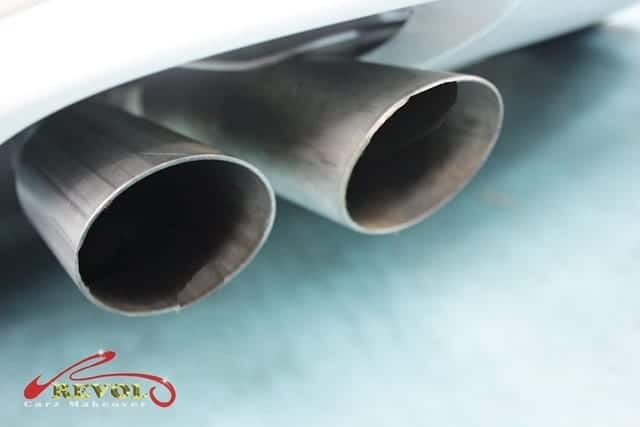 The most common signs of an aging engine are high oil consumption and excessive white smoke in the exhaust, high fuel consumption, misfiring and compression loss. This is normally a sign of worn pistons. 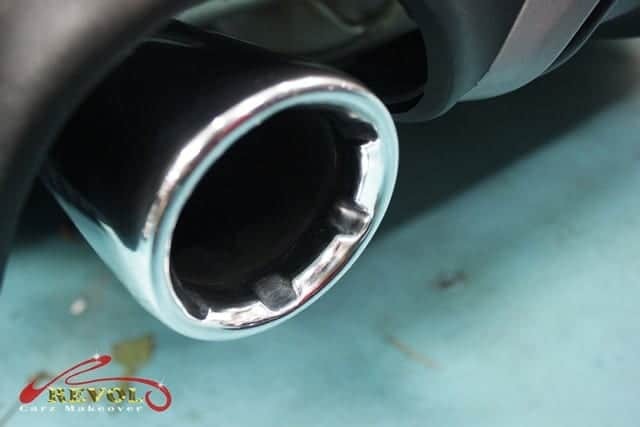 More extreme signs could be metal frictions in the engine (a common sign of worn bearings) and “knocking” or “chattering” from the engine bearings. 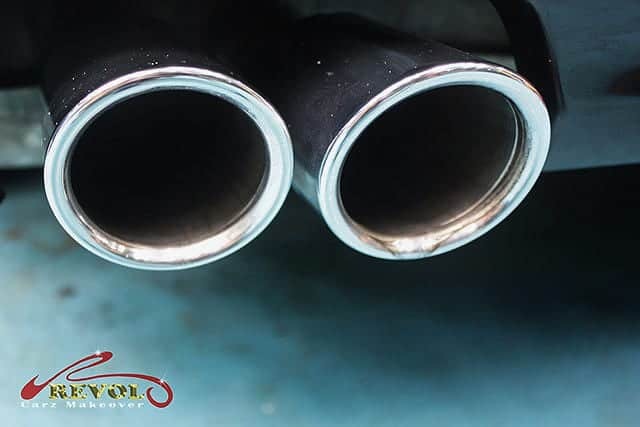 Oil sludge and coolant in your oil pan is also an indication that engine is due for overhaul. 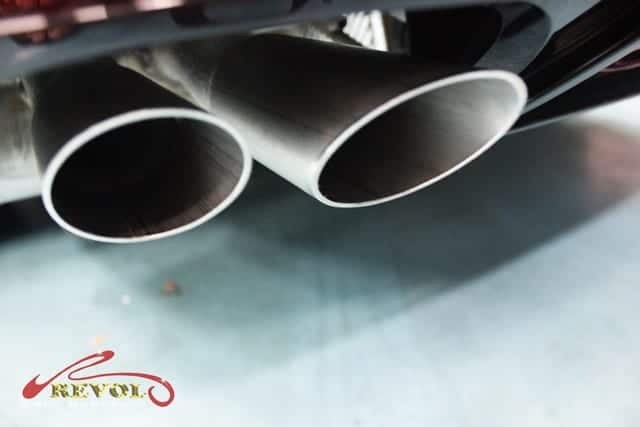 If you see these signs, we recommend a complete engine overhaul to breathe new life into your car. 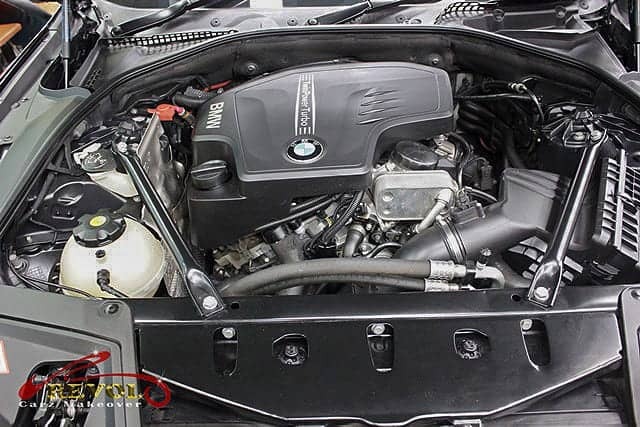 Rebuilding your car engine can benefit you in the long run if the work is done properly by skilled mechanics. 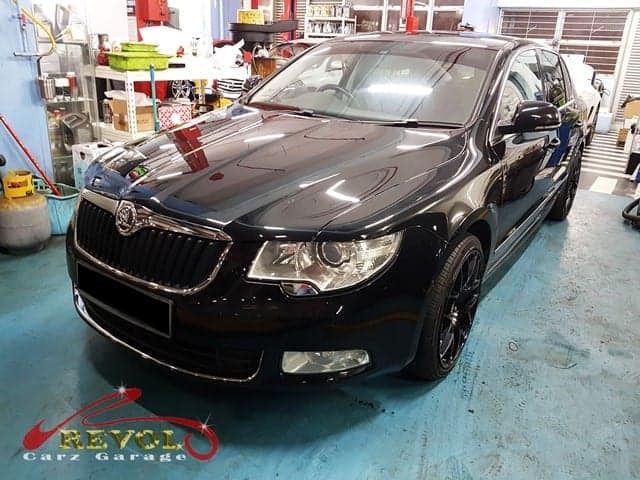 An Skoda Superb Elegance 1.8 has arrived at Revol Carz Garage for a full engine overhaul. Slow and steady as the whole engine is being lifted out of the engine compartment. The step-by-step engine stripping is in progress. 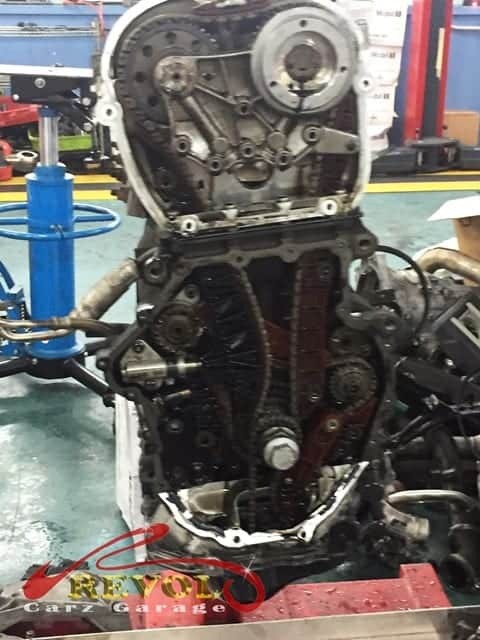 The opened cylinder head before overhaul. 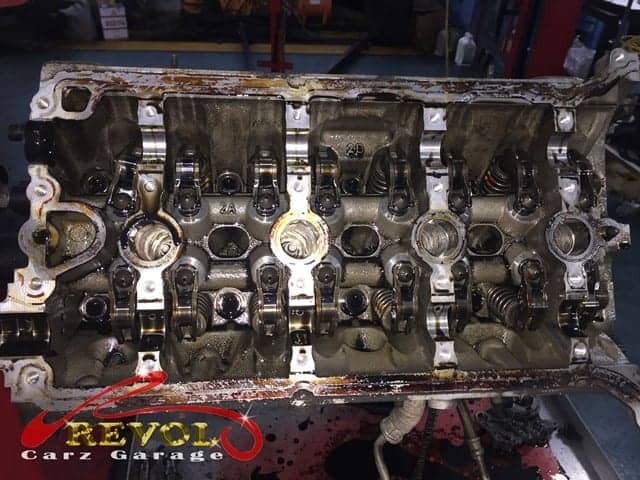 The engine head is removed exposing the dirty valves. This is the engine box before the overhauling. All the pistons are to be replaced. Top shows worn pistons. Bottom row are brand new original pistons. 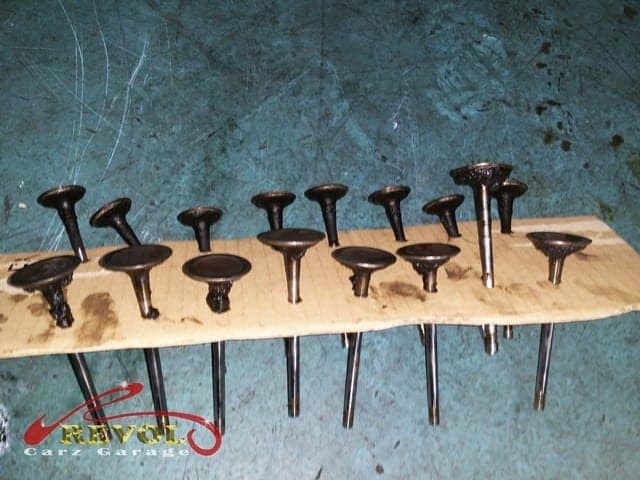 All the valves are removed for precision grinding and polishing. 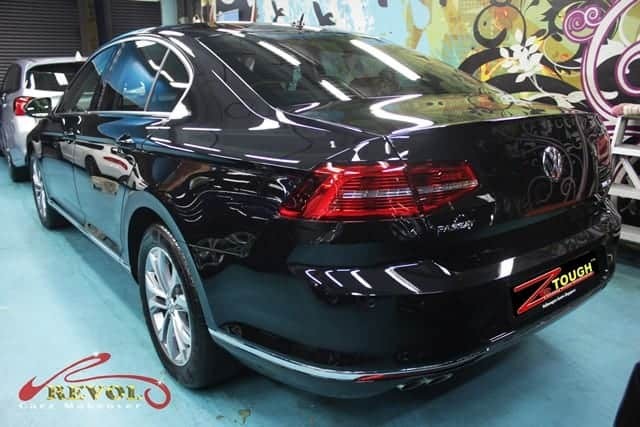 The Skoda Superb Elegance now with a newly rebuilt powerful engine and eager to roll. 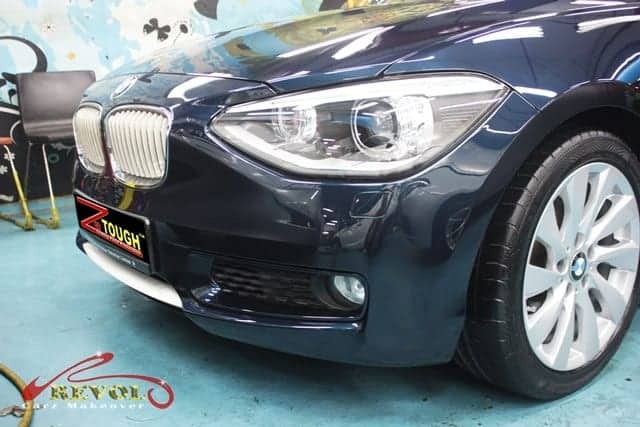 Weathered paintwork complimented with scratches and dimple and scuff, the BMW 118i wasn’t a pretty sight when she rolled into our workshop for a full car spray painting and the treatment of ZeTough Ceramic Paint Protection Coating. 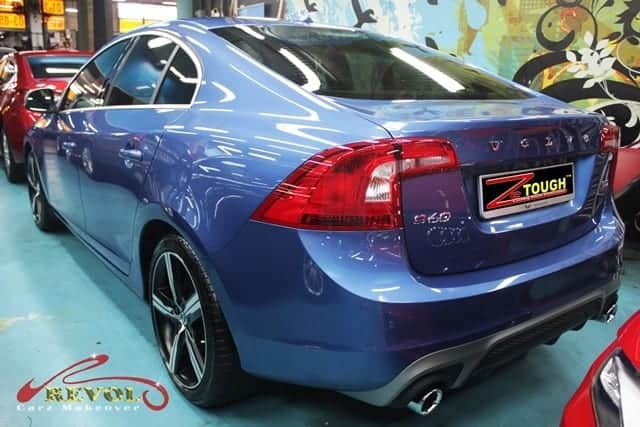 The original paintwork had seen better days and the owner felt it was about time to indulge his faithful ride for complete makeover without deviating from the original color code. See to believe the incredible transformation! 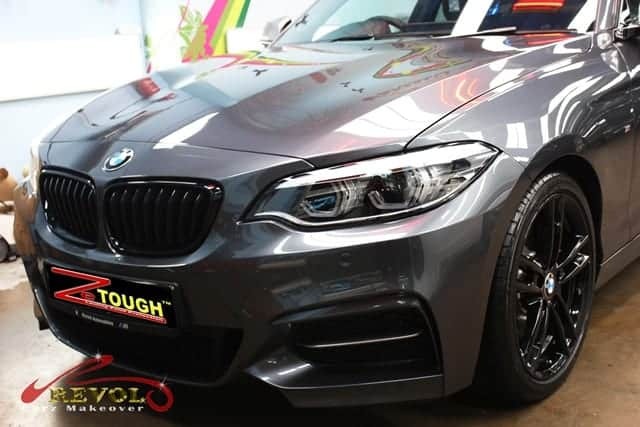 We are delighted to line up the some pictures to show you how our uncompromising workmanship dramatically transformed the dull looking BMW 118i to a jaw-dropping showroom condition. 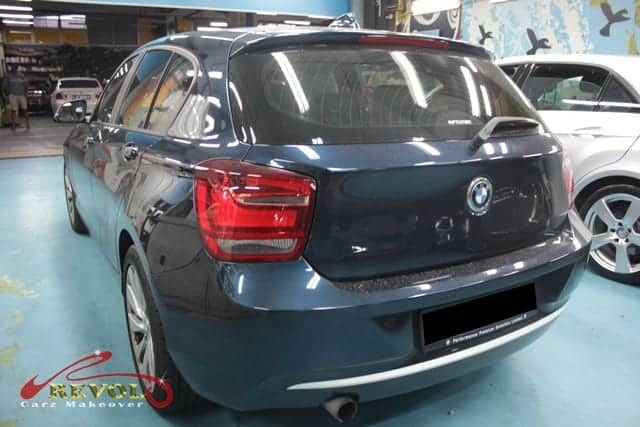 The BMW 118i arrived at our workshop with dulled weathered paintwork awaiting a full body re-spray painting. 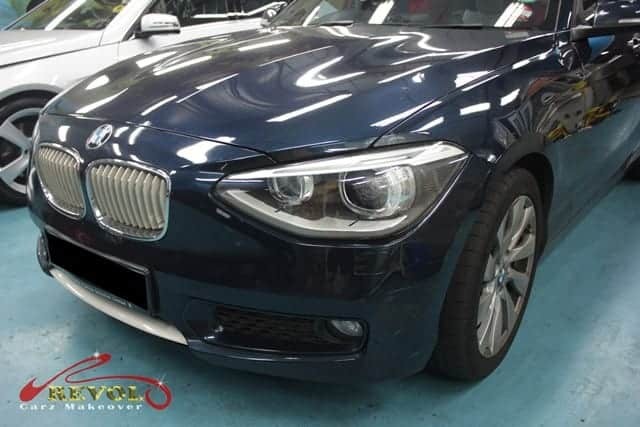 Before the repainting process commenced, we would dismantle various body parts such as the headlights; grilles, grilles, wheels, etc. 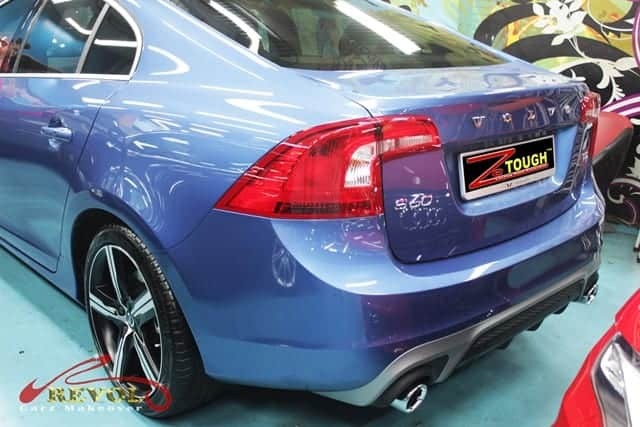 The taillights and bumpers will be removed to prepare for the respray. Behold! 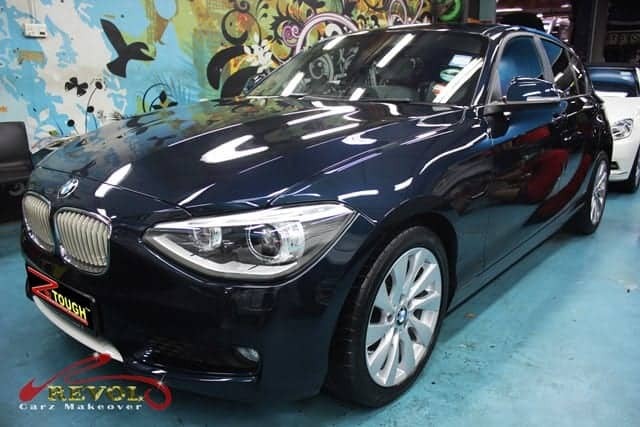 You won’t believe your eyes –the BMW 118i is dramatically transformed with glass-like coating ZeTough Ceramic Paint Protection. 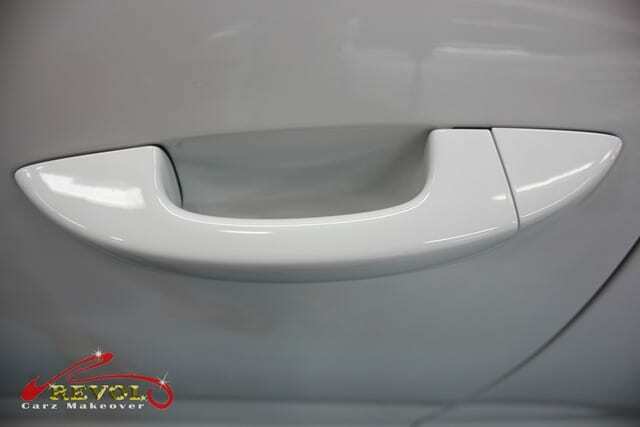 Close up view of the refreshing jaw-dropping repainted front exterior. We leave no stone unturned. 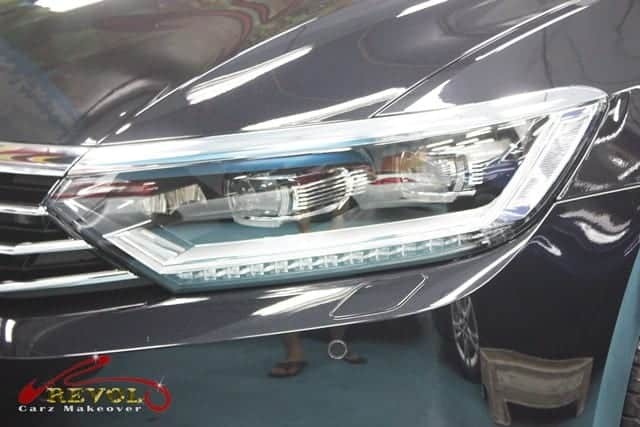 The headlamps are polished and restored like brand-new. 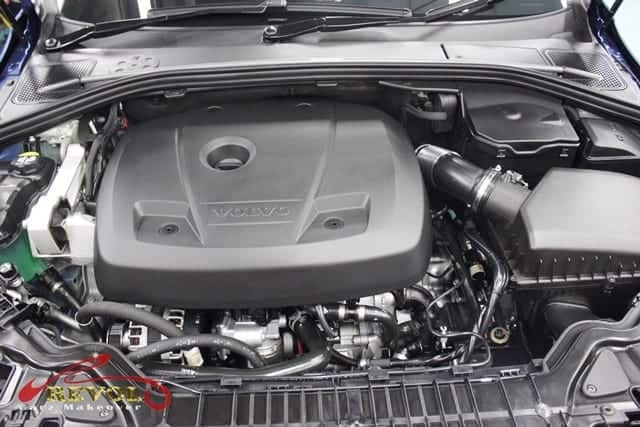 You get more than a feel-good factor when you see the engine compartment incredibly clean and well polished to a distinct level of showroom condition. 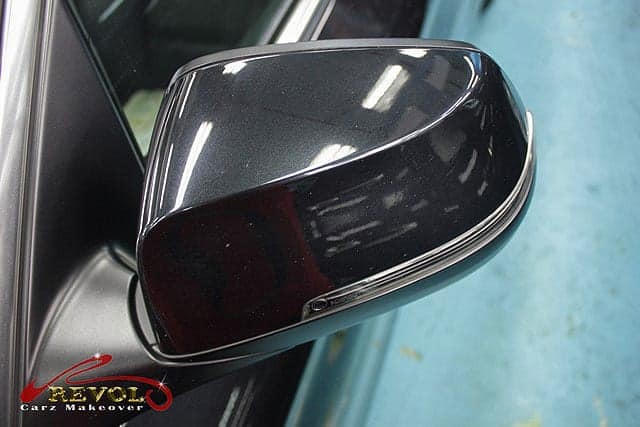 After the exterior final polishing is done, we moved the car to the finishing section for multiple rounds of cleaning and detailing the interior. 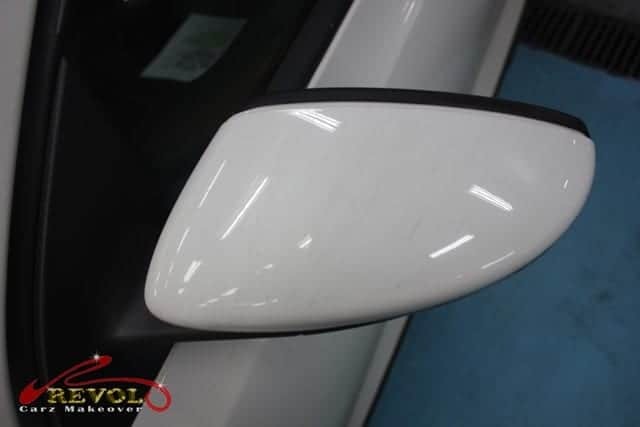 The curvature of the wing mirror is ideal place to check the degree of reflection before respray. 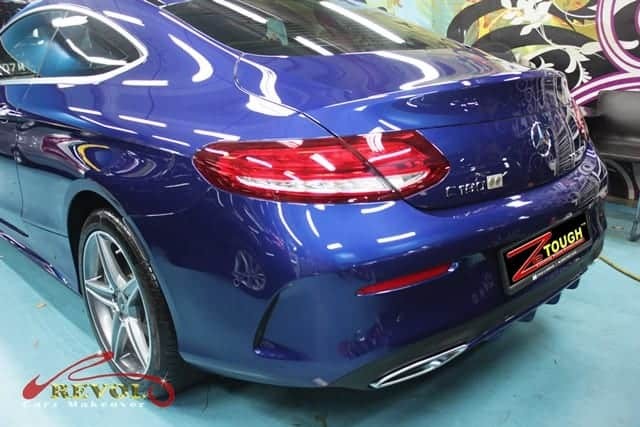 After the spray painting and coated with ZeTough Ceramic Paint Protection, the difference is obvious. 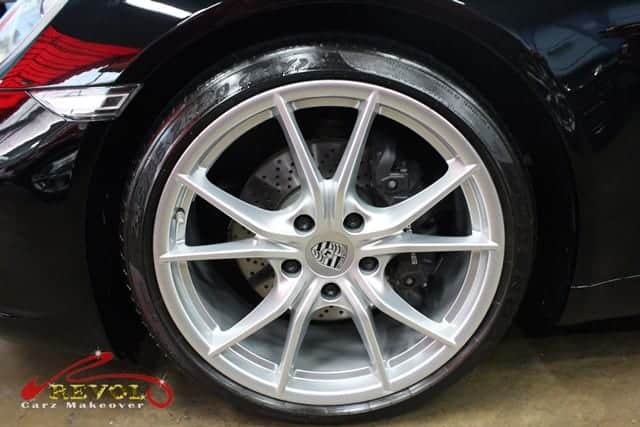 The finale of the Revol makeover is applying the ZeTough Ceramic Paint Protection coating. 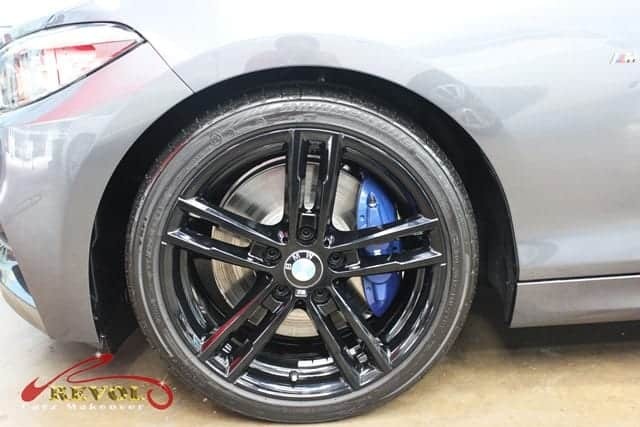 After ZeTough coating is fully cured, the long term shine and protection will last more than three years. 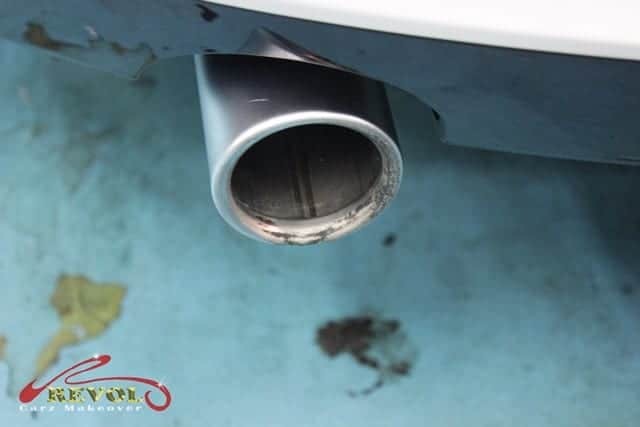 Don’t be disheartened if your car exhaust is covered with dirt and soot. 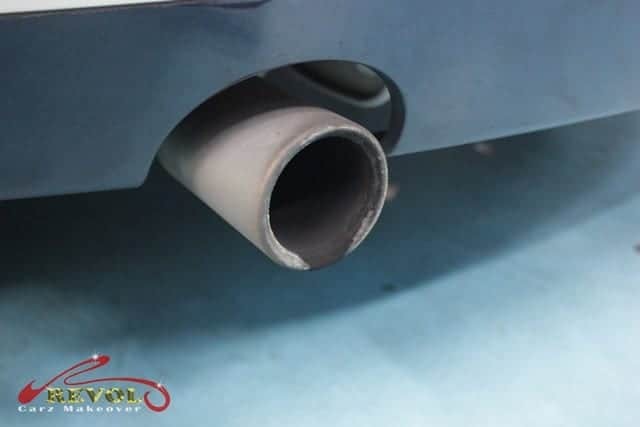 After careful cleaning and polishing, we restored the exhaust pipe. 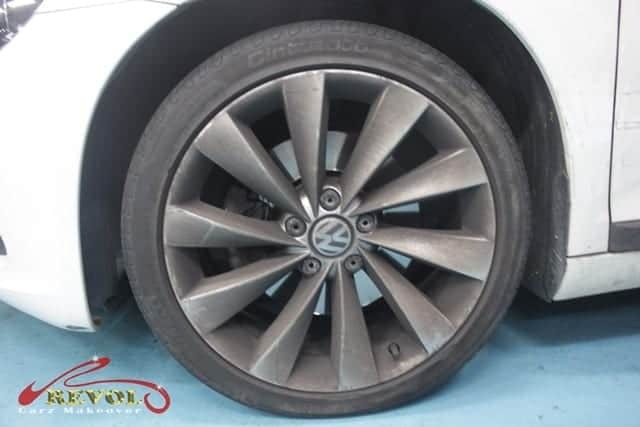 Wheels covered with brake dust? No problem. 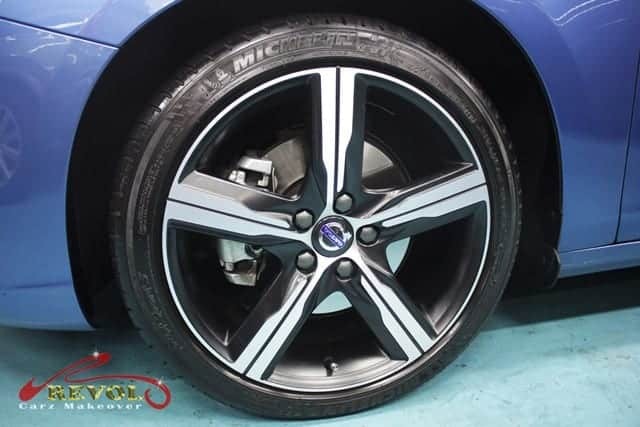 We went extra miles to skillfully restore the alloy wheels and made them look like brand new again. 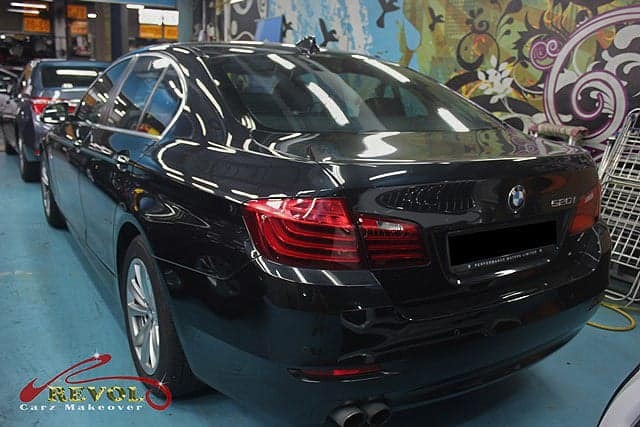 If our professional standards of car respray painting impressed you, perhaps you are resolved to give your car a new lease of life with new coats of paint. 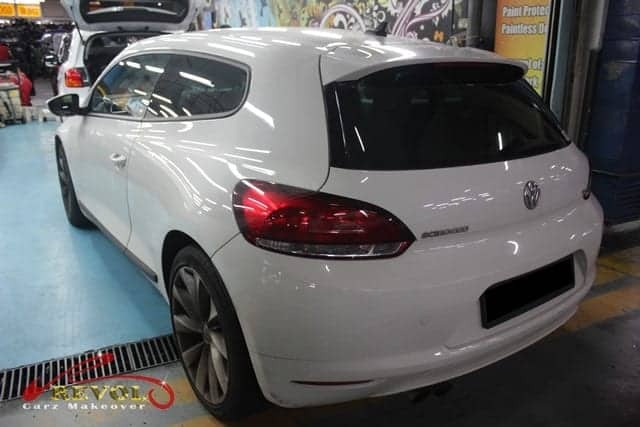 Another brand new Renault arrived at Revol Carz Makeover today for the ZeTough Ceramic Paint Protection Coating treatment ensuring the original factory paintwork is properly shielded during the lifetime ownership. 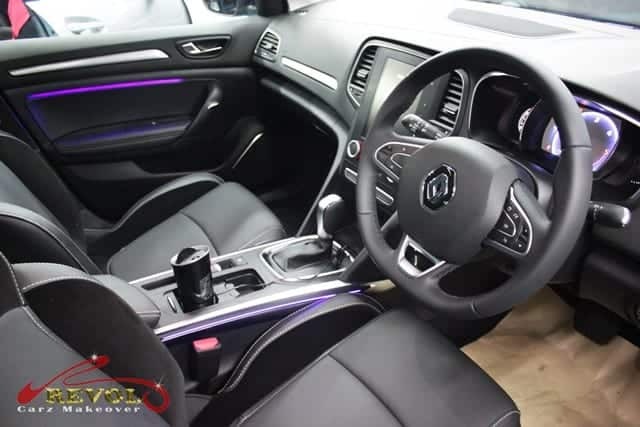 The Megane sedan is powered by a 1.5litre turbocharged-diesel engine paired with a six-speed dual clutch transmission. 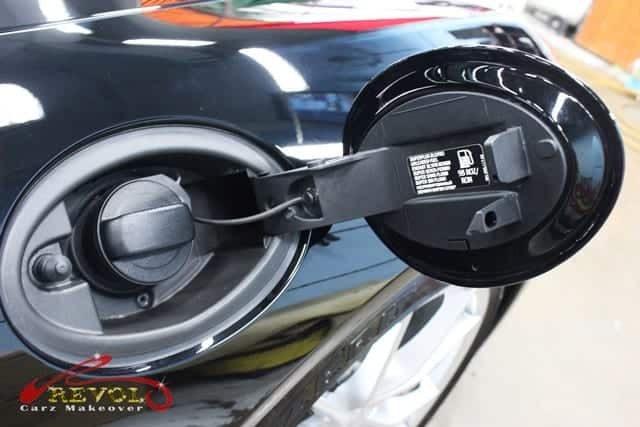 Although it is not big in performance, the fuel consumption is frugal with an average of 20km per litre. 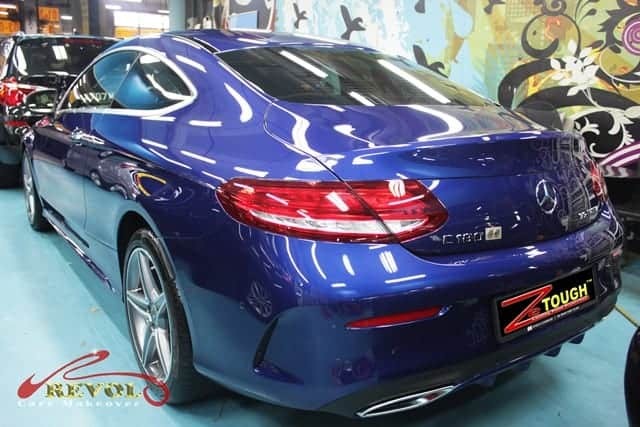 The 0-100km/h acceleration is 12.5 seconds with a top speed of 190km/h. 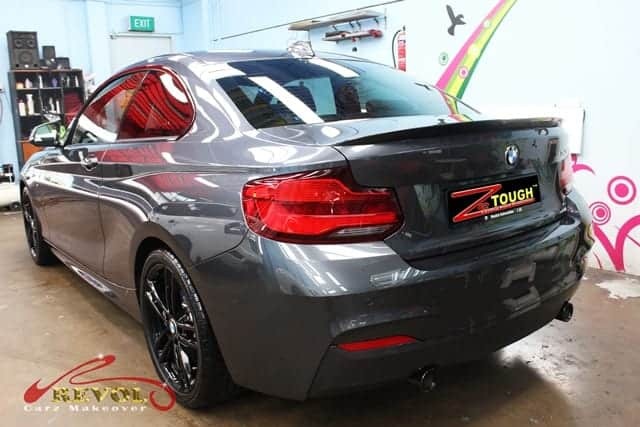 The following line-up of pictures is posted to show our readers, the incredible power of ZeTough Ceramic Paint Protection Coating after the treatment is fully cured. 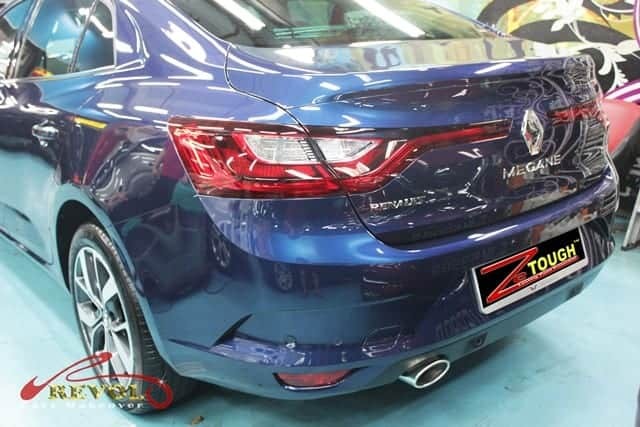 The Renault Megane Sedan armored with ZeTough Ceramic Paint Protection Coating boasts of brilliant lustre at Revol Carz Makeover. 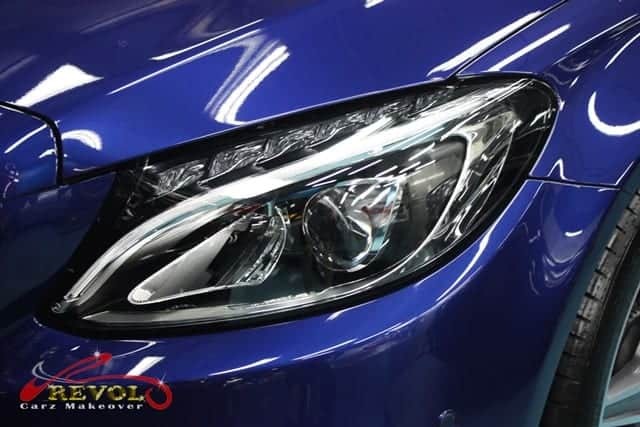 The front view of the Megane is simply dazzling after the application of ZeTough Ceramic Paint Protection Coating. 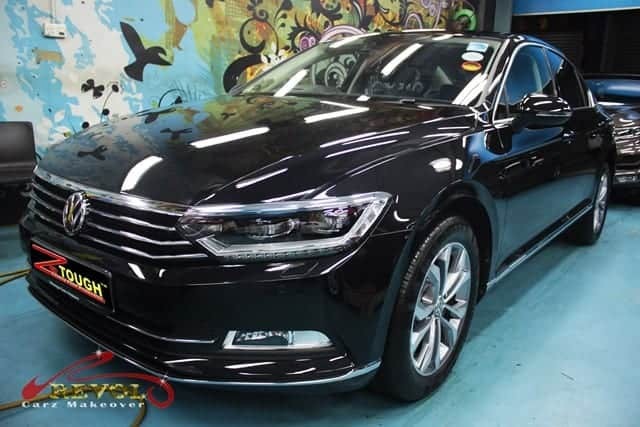 With the imposing Renault badge, the C-shaped LED daytime running lights and chrome grille, the front looks more elegant. 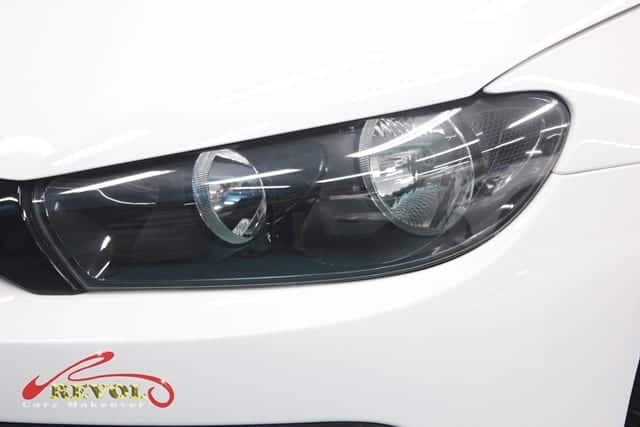 The Magane’s face looks sleeker with the new C-shaped LED daytime running lights especially after detailing. 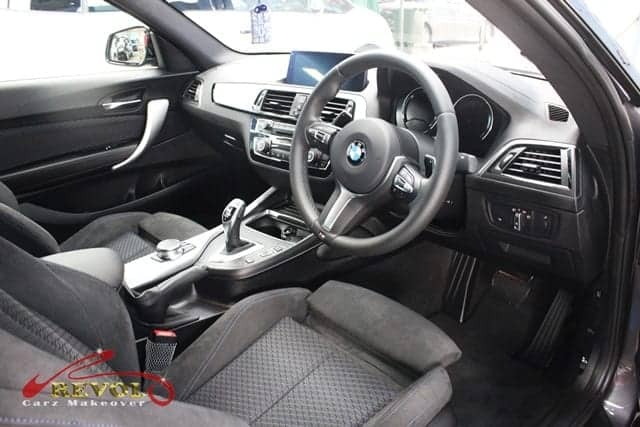 After professional detailing, the interior gives off even a more futuristic vibe with four choices of ambient lighting throughout the cabin. 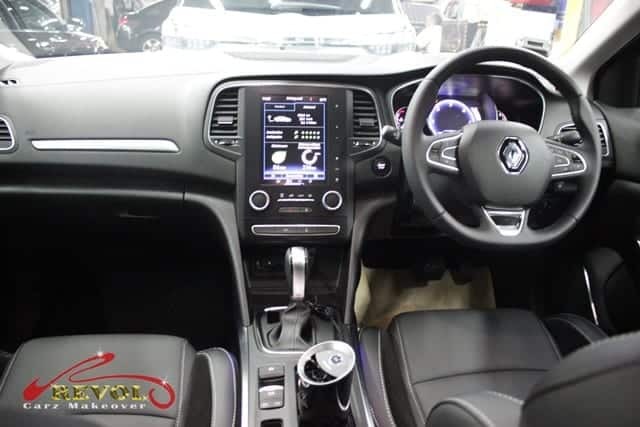 A cleaned and polished central console adds to the joy of driving the Megane. 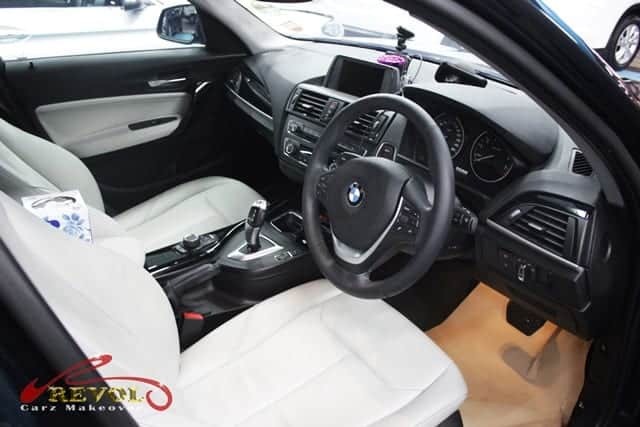 The cabin has a premium feel after detailing. 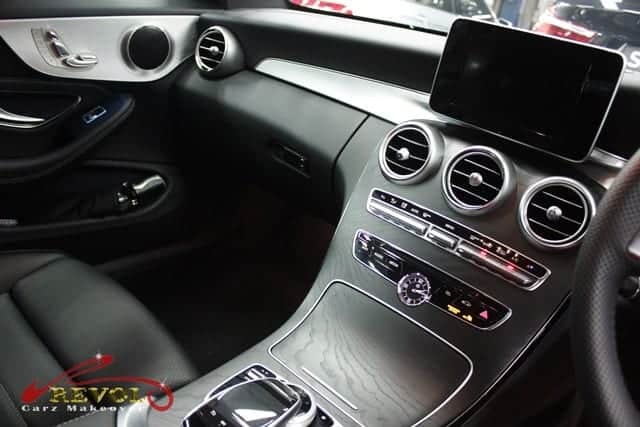 The centre-piece is a tablet-style infotainment console. 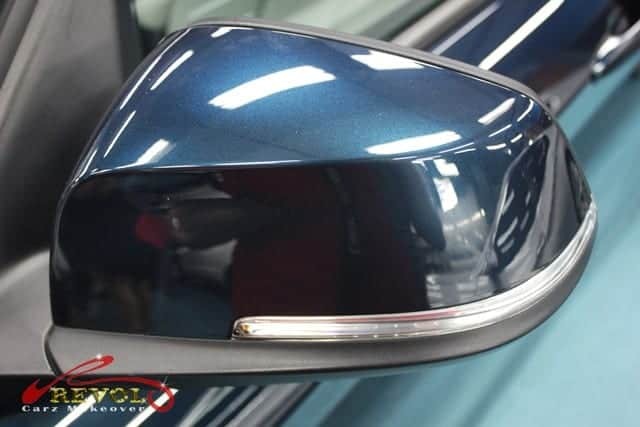 The polished side mirrors automatically open up and simultaneously activate the welcome lights on both sides when you walk up the Megane with your key fob. 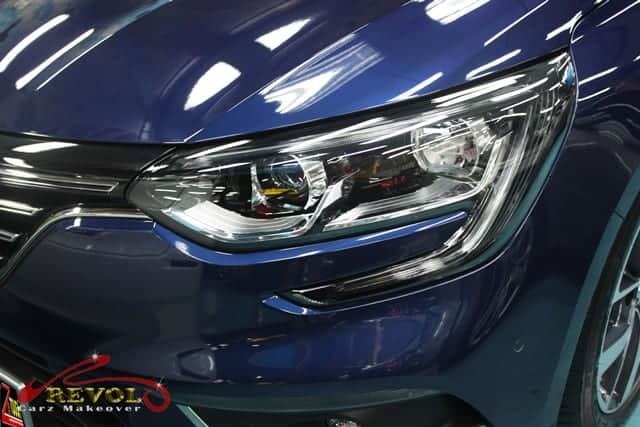 You can’t stop gazing at the dazzling finish of the beautiful Megane coated with ZeTough Ceramic Paint Protection. 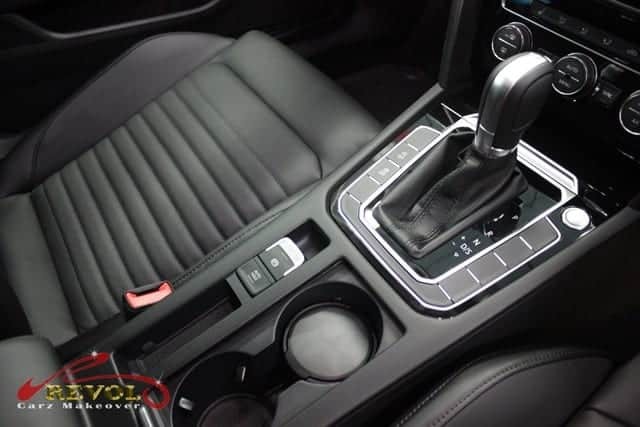 Remote access to the car includes popping the boot open by a kicking action. 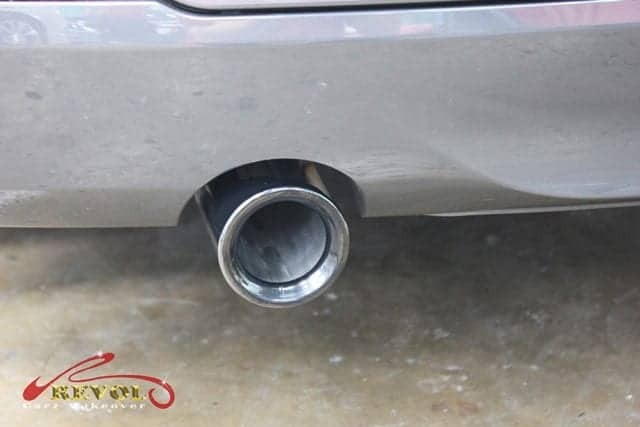 The exhaust tail pipe looks perfectly new after polishing. 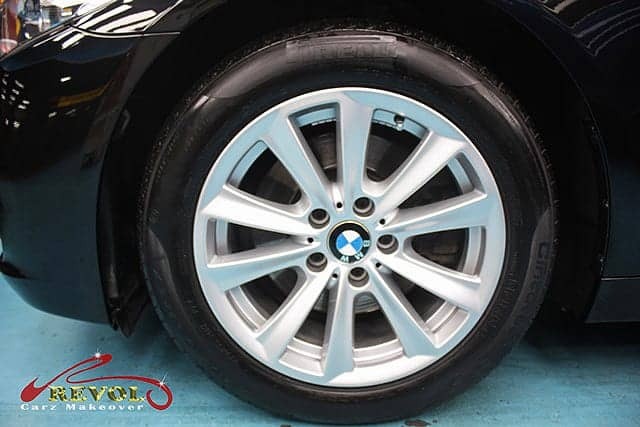 A set of fully restored alloy wheels without blemish is the pride of our professional detailing. 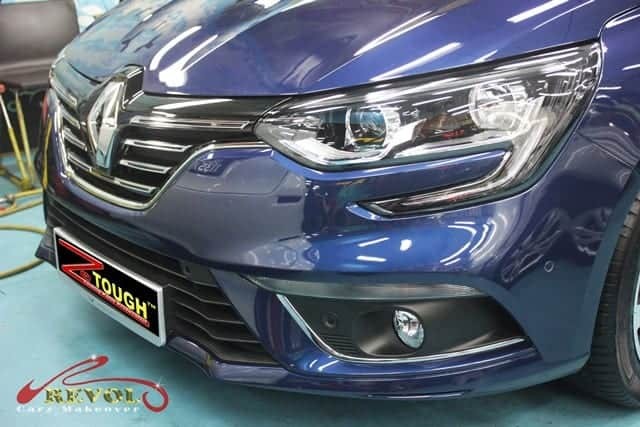 If the shiny Renault Megane has won your heart, perhaps you would like to give your car the same incredible treatment of ZeTough Ceramic Paint Protection Coating too. 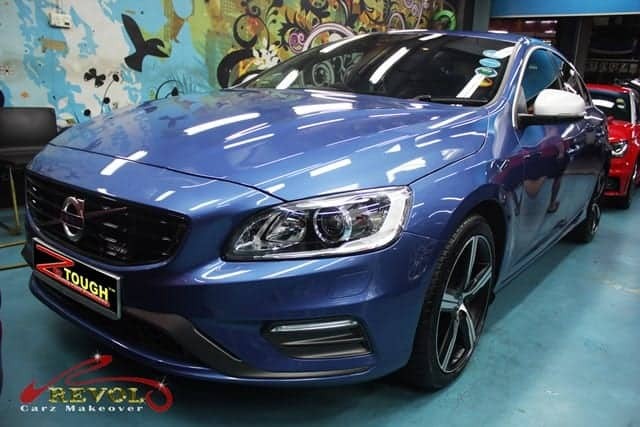 Please kindly be informed Revol Carz Makeover will be closed from 15th Feb 2018 to 25th Feb 2018.
Business in our Ang Mo Kio branch will be officially open from 26th Feb 2018 and Toh Guan branch will be open from 28th Feb 2018. Wishing you and your family a Happy New Year of the Dog, Gongxi Fa Cai, prosperity in great abundance, pink of health, lots of happiness and laughter!